The cottage has two sitting rooms; one styled as a family room and equipped with the likes of play stations and toys to entertain during down-time (perhaps after a bracing walk), the other with more of a drawing room feel. There is also a dining room (seating eight), a fully-equipped kitchen, a master bedroom (with en-suite bathroom), two twin/double bedrooms and a family bathroom. In the warmer weather, Home Farm Cottage residents have a large sloping, private and self-contained garden at their disposal. There is also a decked outdoor eating and barbecue area, complete with loungers along with plenty of space for all ages to play (with bikes also available), unwind and relax. Your very own Cotswold home-from-home, courtesy of Barnsley House, is now available for short breaks (or long ones!). 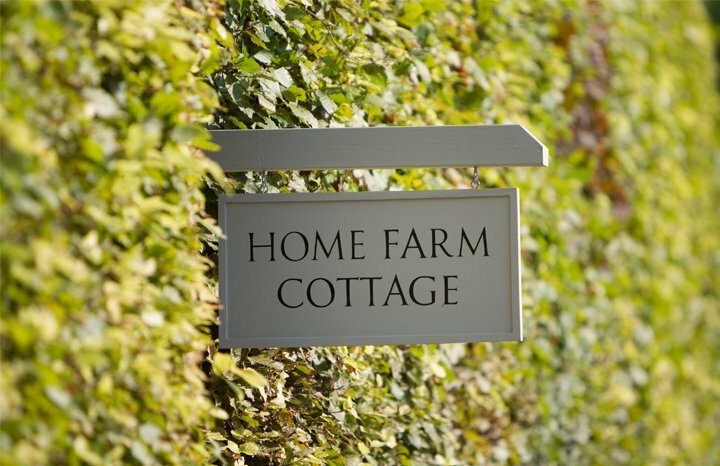 Located across the road from Barnsley House and then a little beyond The Village Pub, Home Farm Cottage sits between the two in location and design and, is available for a family or group of friends to enjoy a long weekend break, a midweek escape or perhaps an even longer summer holiday. This beautiful Cotswold hideaway has undergone a complete renovation; linens in light colours and Fermoie fabrics with gentle geometric designs, pretty headboards and pelmets and a mix of old and new furniture are similar in design to The Village Pub, whilst touches of extra luxury, reflect Barnsley House. Add to the mix a local pub (The Village Pub) on your doorstep, with a cinema and a fabulous spa at your fingertips (at Barnsley House) and it is clear to see that our three-bedroom retreat is no run-of-the-mill self-catering cottage but a luxurious hideaway, with unusual and enviable benefits. So, whatever the reason for making Barnsley your destination – be it a summer ‘staycation’, a half-term escape, a long weekend, festive or New Year’s bolt-hole – Home Farm Cottage lends itself perfectly. If a country cottage for a private family break is what you had in mind, but the thought of the cooking and cleaning puts you off, then Home Farm Cottage could be the perfect solution. A welcome hamper including a basic larder as well as breakfast items for your first morning is included with our compliments and then it’s up to you…….self-cater (and we are happy to advise of nearest supermarkets as well as alternative places to visit for supplies including Daylesford Farmshop); let us cater for you at the cottage – our chef would be delighted to create a wonderful bespoke menu for you and we’lll even serve (price on application and please check availability and reserve at time of booking to avoid disappointment); or dine out at either The Village Pub or The Potager Restaurant at Barnsley House itself – the choice is yours. (Please note that The Potager restaurant does not cater for children under 14 for dinner but they are welcome throughout the day for lunch or afternoon tea etc. The Village Pub however is available to all ages at all times and there is also a special children’s menu).